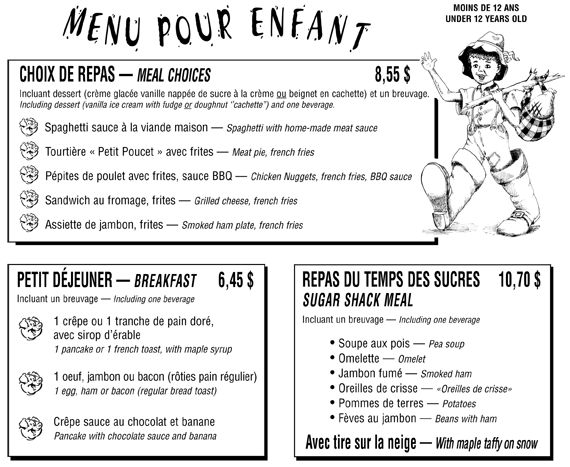 Au Petit Poucet, a whole lot of fun while eating! Kids just LOVE the smoked ham, the eggs, the delicious pancakes… and our spaghetti is a big winner too! They will be OVERJOYED playing with maple taffy on snow, served at the table!